The BFG (Big friendly Giant) written by Roald Dahl who was also the author of Charlie and the Chocolate Factory, James and the Giant Peach and several others. His writing is unique and this book (BFG) though full of ideas that are repulsive and strange.. for example giants eating people, the author comes at it in such a way that it is funny and the story was light hearted. 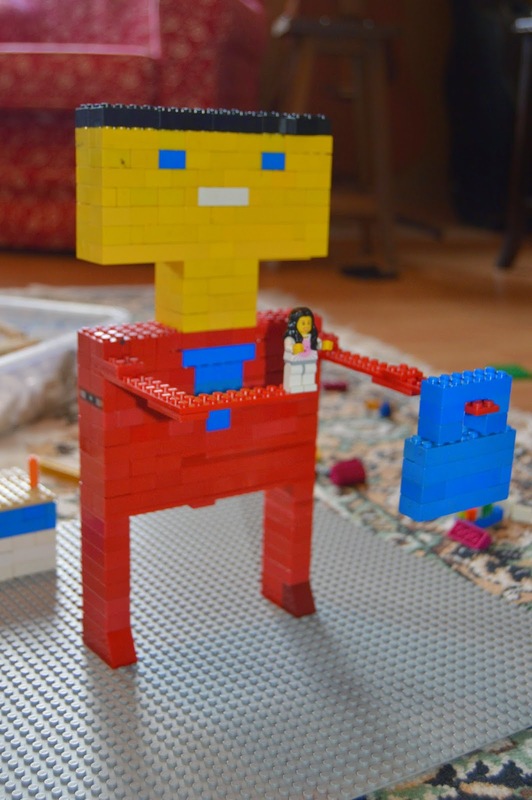 We were introduced to it by some sweet friends and the result was some pretty fun Lego structures of the BFG himself. 11 years old. A book cake. ya know the click your heels together shoes. cute. I was able to use the cake batter to make just enough for every girl to have one high heel shoe. I could post more pics, but I won't. Lots and lots of inspiration on pinterest if you are interested in making cupcake heels. I just used what I could find here in Turkey to duplicate it. 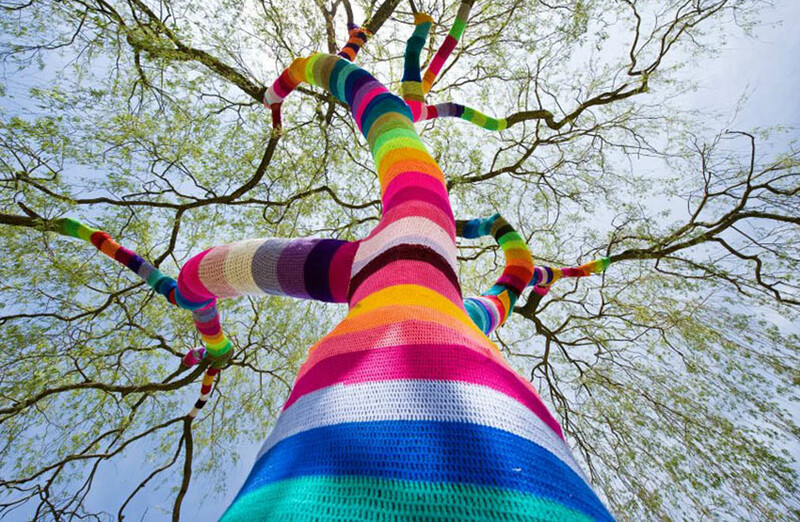 Ok so maybe our yarn bombing is not quite up to standards. This is amazing isn't it. Hopefully it is inspiring... it was so fun to watch everyone ooh and aah as the candy started spilling out. However last year's b-day was an important one as the DOUBLE DIGITS hit our family! 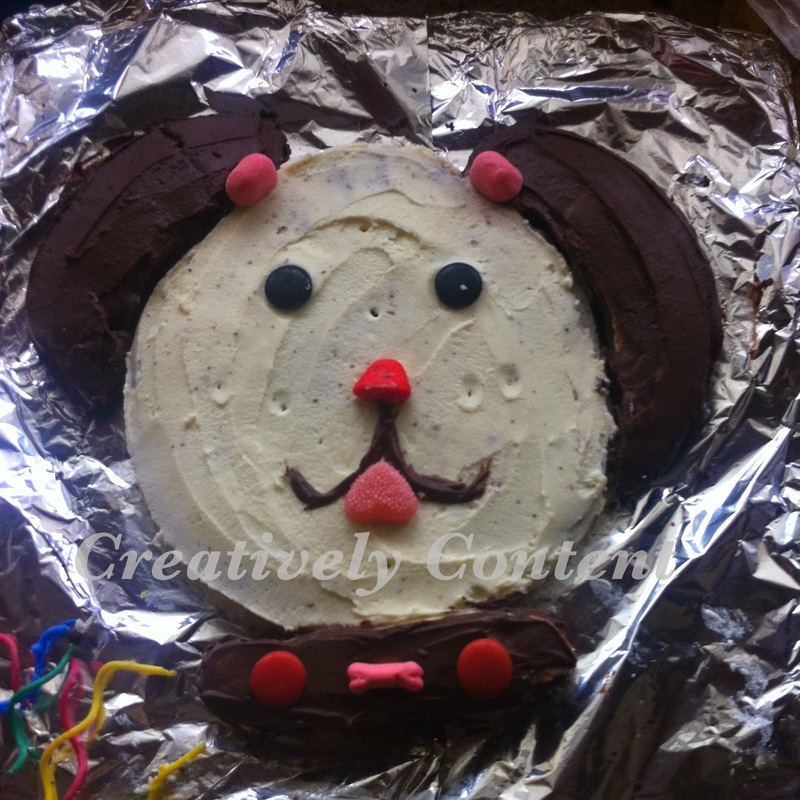 This cake was as fun as it looks and easier than it looks to make! 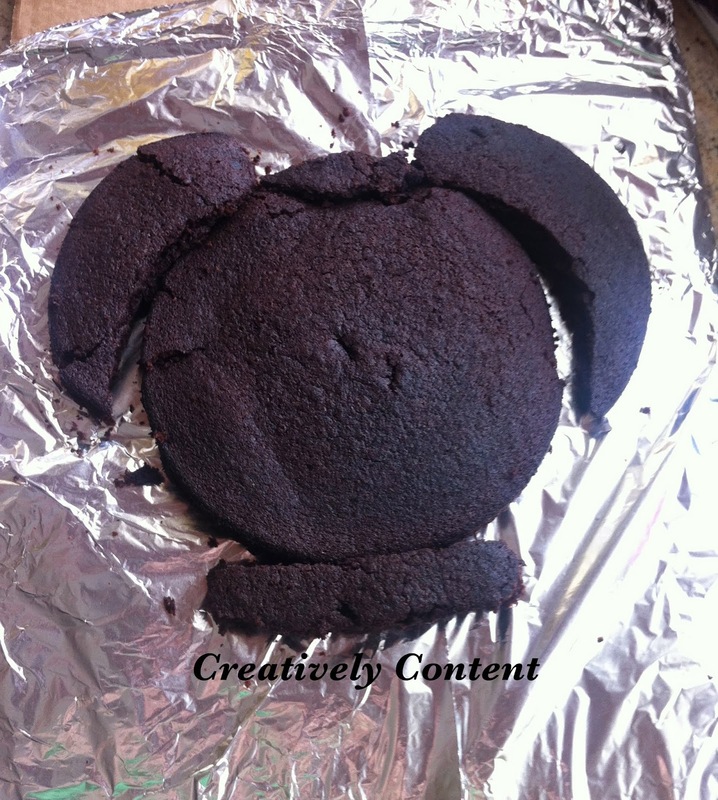 Autty was so surprised when we cut into it and it exploded or rather spilled out with fun M & M treats from with in. 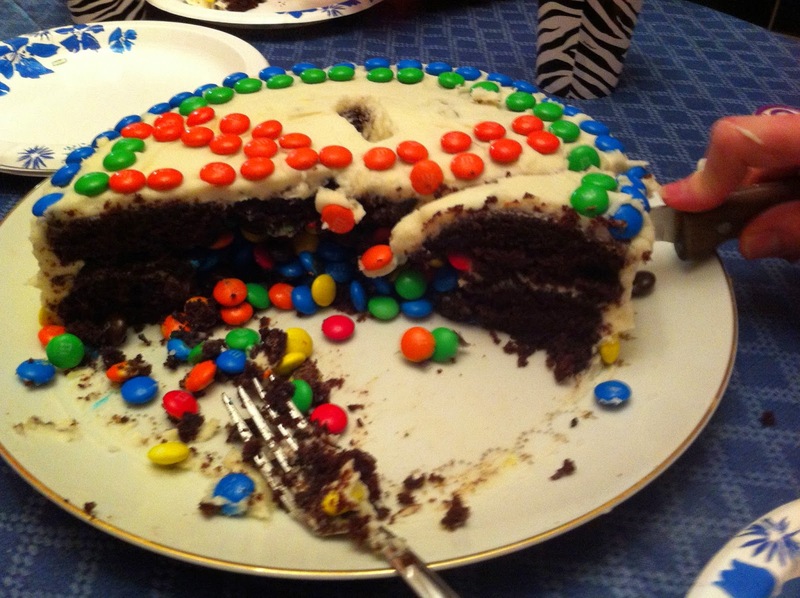 We were able to celebrate at my mom's house for Autty's b-day. I am sad that I have no pictures of my mom and Autty together. Hello dear blogging friends. Since the last time I wrote which is almost 6 months ago the journey that I was apart of with my mom and her walk with colon cancer has come to an end. November 6th 2014 my mom took her last breath here on this earth and her first new breath in heaven. I was there with her when she took that last breath. I am now again in my little west corner of Turkey and trying to process this grief. This post is mainly for me. I want to be able to express myself and get my thoughts down and in some way I am hoping it will be a healthy way to walk out the loss of loosing my mom. It is all such a torrent of gratitude, sadness of solemnness and loss of worship and uncertainty and lastly it is hope in Christ. There is such a loss I feel, almost a hole. My Father died 23 years ago and I was only a teenager then, this grief is deeper and now with both parents gone the feelings of loss seem doubled at times. Here is what I am doing every week or so to express my fierce emotions or the re-run of the movie in my mind of those last days with my mom. 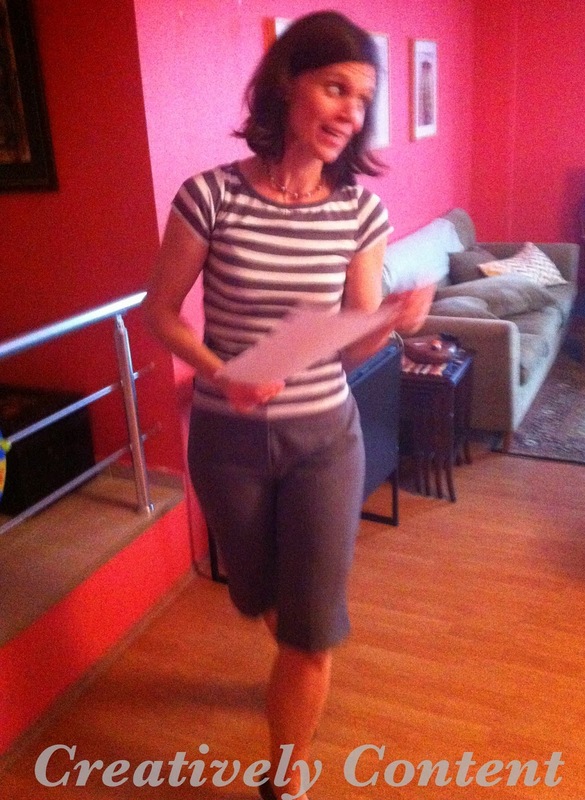 During my time in the States being with my mom, my family was back in Turkey. I was gone for 19 days and during that time there were so many (other than my sisters and their families) that came and stood by my side figuratively and literally. E-mails, cards and phone calls flooded my gmail box and my moms room. Food was never lacking. I have always been simple and not very 'fancy' as my girls say. My mom wore heals and loved to dress up. She always liked a good pair of heels or dressy shoes. For her funeral and visitation I had such a strong desire to look my best and although I haven't been a girl who wears heels I wore heals for the funeral... and now I have this strong desire to wear heels. I find death such an enigma. Death has been around for what years, decades or rather since the beginning of time. We all know that everyone will at some time die. Yet even though humans have that knowledge and have been dealing with death and grief for hundreds of years we still have found no book or vitamin or drug or cure that can take away the pain of it. My sorrow is deep and hard to explain yet there is a hope that remains in my heart, a knowing that my Mom when she took her last breath on earth took her next breath in heaven. All the pain that my mom had was gone in an instant not to be remembered....I love that. No matter the hardships in this world they will eventually fade away never to be remembered. What an amazing Father that took the curse of death and prepared for us a glorious place and for us that believe has taken away the sting of death. One day at a time one. 8 years old has arrived for our tip toeing middle girl. 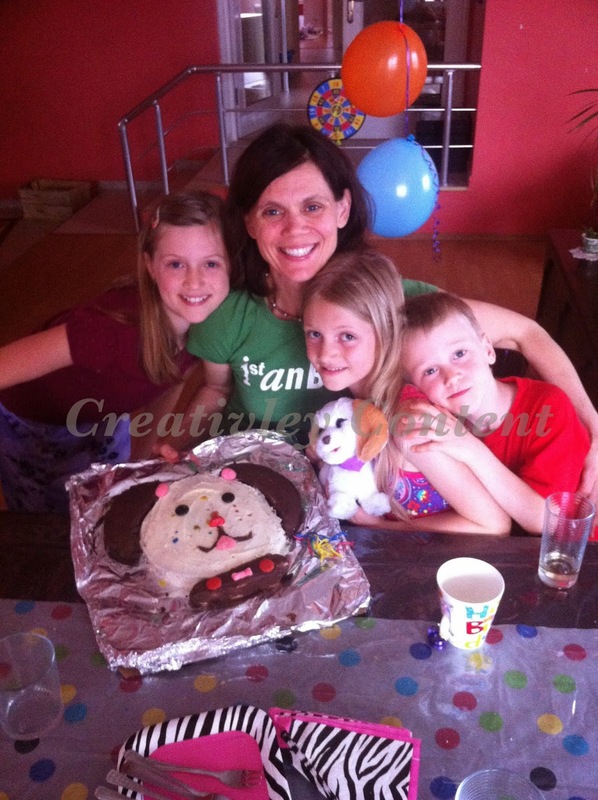 Dog loving has also arrived and so you guessed it, a dog cake was the appropriate animal cake of choice this year. We tried to do a dog themed party with some fun entertainment. 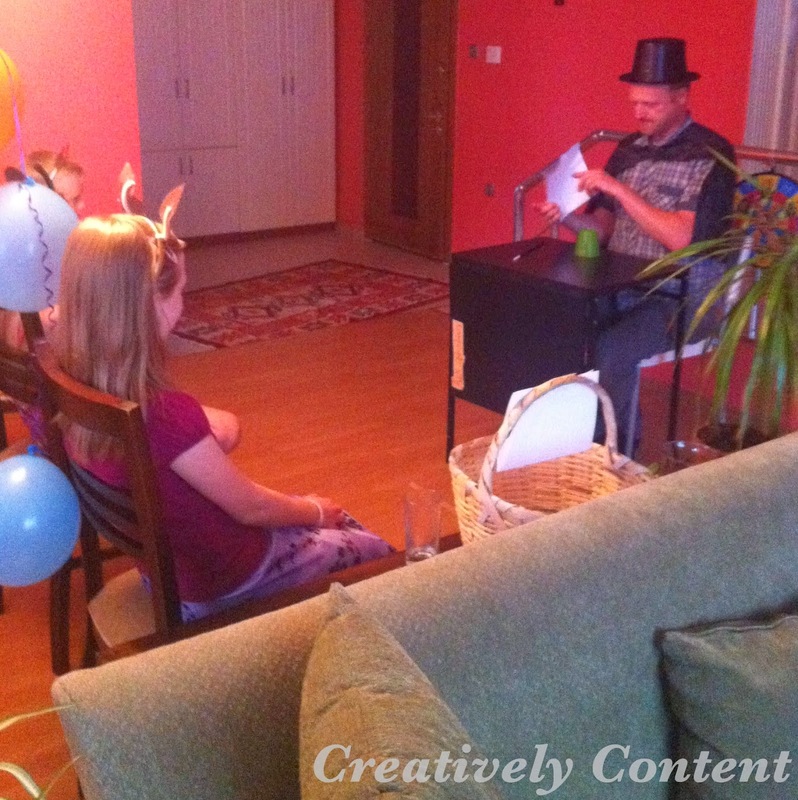 We also added a little bit of a talent show from the parents... it was a hit! Enjoy the pics. 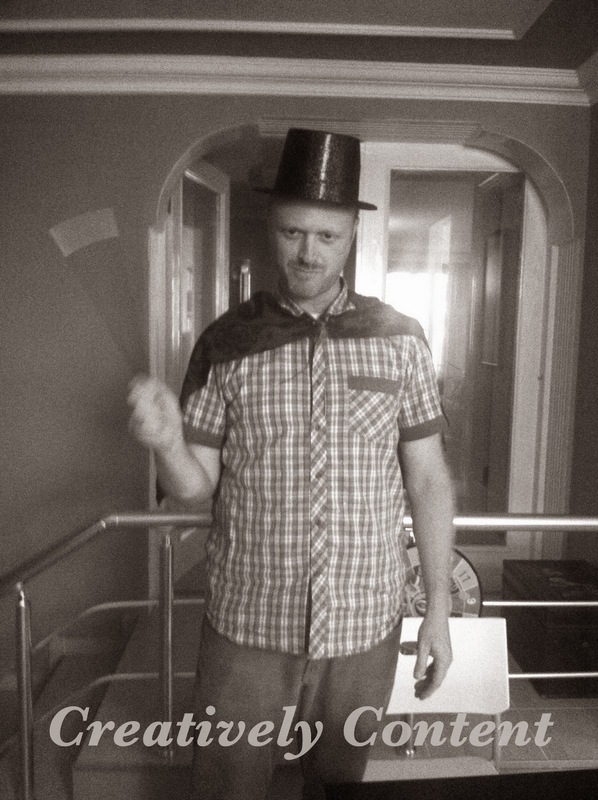 Here he is one and all: Jock Illuzion... the magician. The kids LOVED this and David was so hysterical. This was the hit of the party. I think we have found some hidden talent. I was the comedy act but the act before me put me in for a pretty expectant crowd. The theme of our family party was dogs. 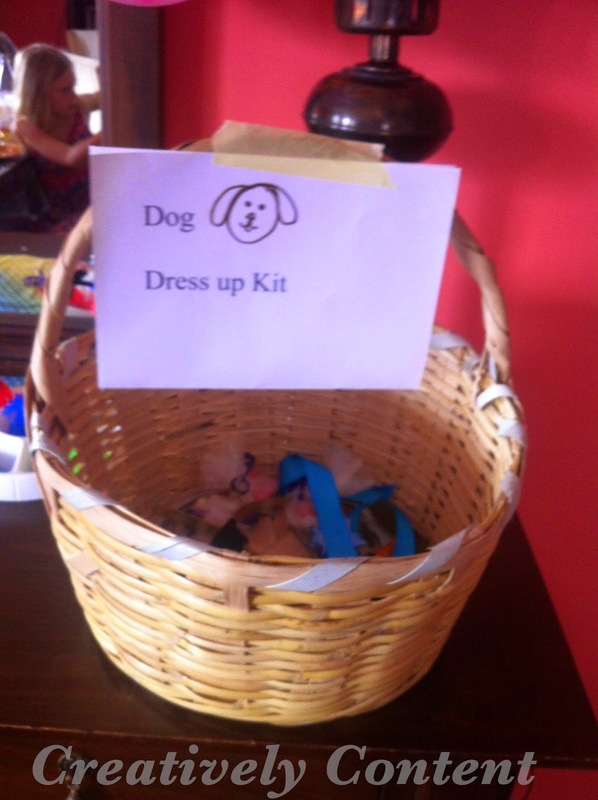 I also threw together a 'Dog dress up kit'. a small doggie treat of candy dog bones to snack on during the show. 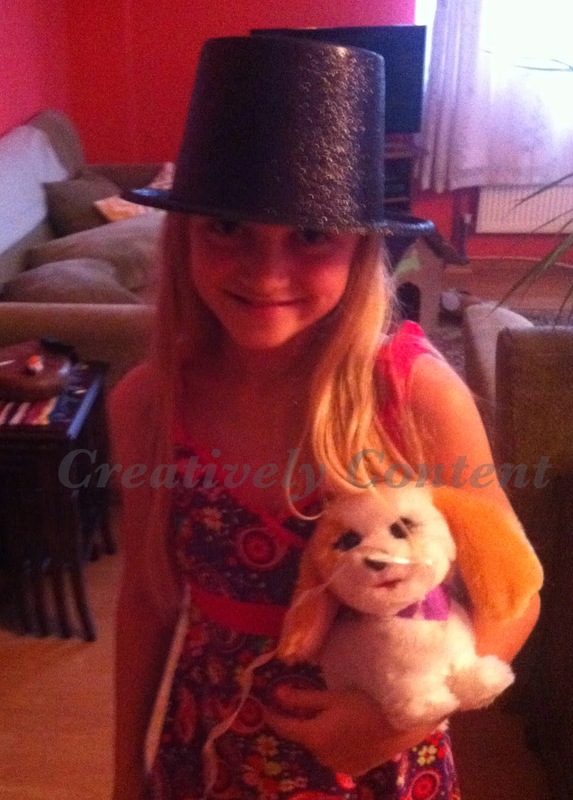 Here is our 8 year old with her cute little birthday present. Yep a little puppy. 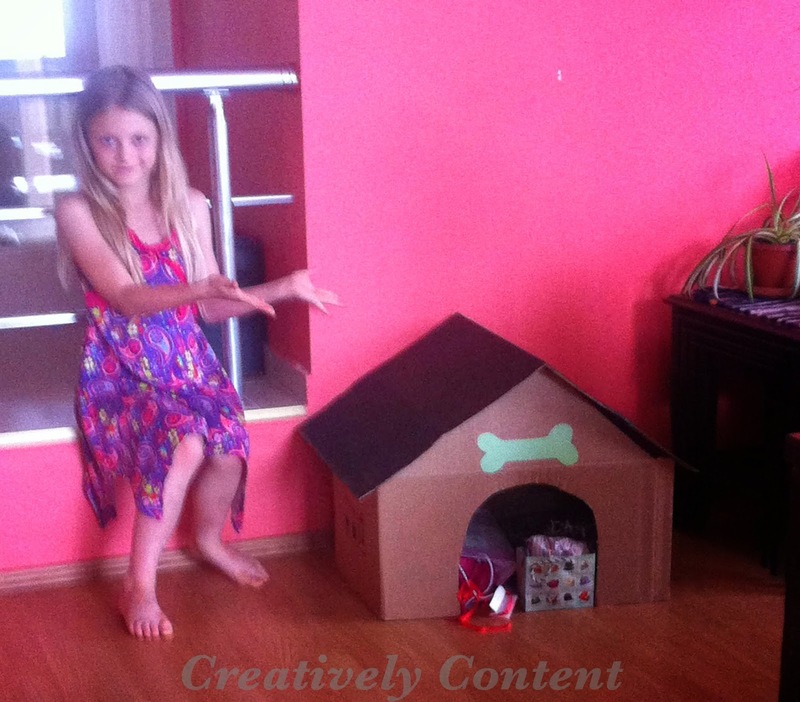 Tonight the puppy has found a new home in the cardboard doghouse next to Lydia's bed. :) Oh how we love you lovely Lydia. Happy Birthday. This was just a family party and what a precious time with our family it was! There are a few things I know very well about myself. I know that if I don't exercise I can become down and gloomy. Exercise; levels out my emotions and gets my whole mind and body on track. So I take care to exercise at least 3 to 4 times a week even if I only have 20 minutes that day. I also know that when I exercise everything else tends to fall in place quiet times, eating right, being organised etc. One discipline snowballs to more discipline. 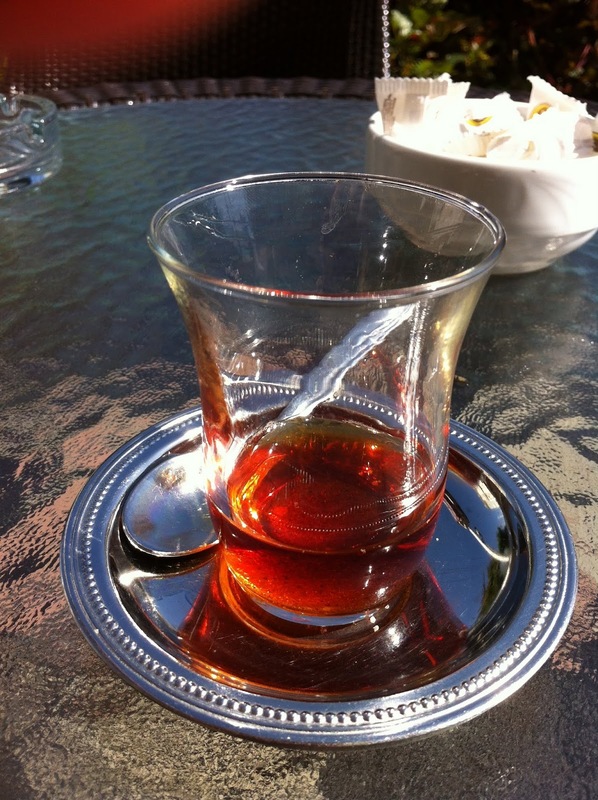 I know that caffeine or too much black tea can make me irritable and on edge. So I have to watch my black tea intake, even though I love it and am surrounded by it daily. I know that green tea doesn't effect me in the same way so I have learned to enjoy green tea with honey every morning. Discipline in the small things can take me a long way in my day! Simply doing what I know provides a better environment for my family and much better days for myself. 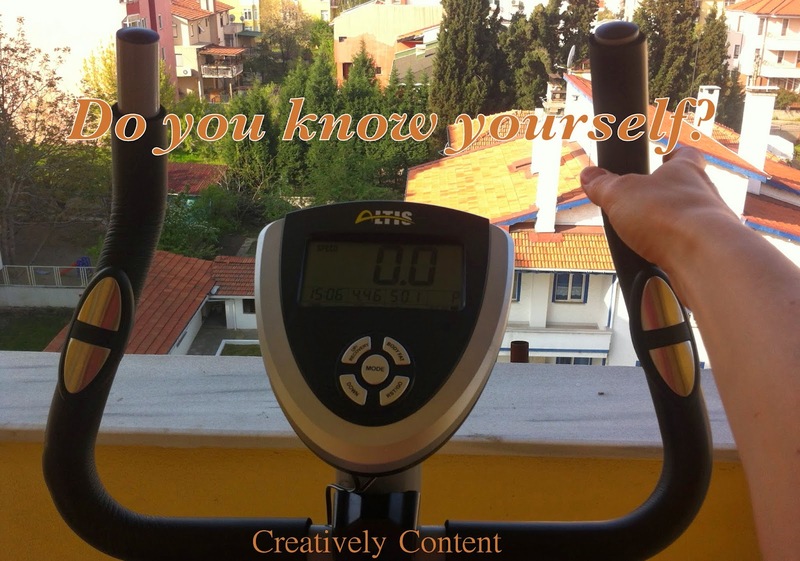 What do you know about yourself? What do you do to keep healthy in mind and body and Spirit? My motto on this blog has been "use what you have"
today I am adding "DO what you know". even if they seem small. Here are a few pictures of our upstairs. (some are pretty grainy) We made it into our Homeschool/everything room. 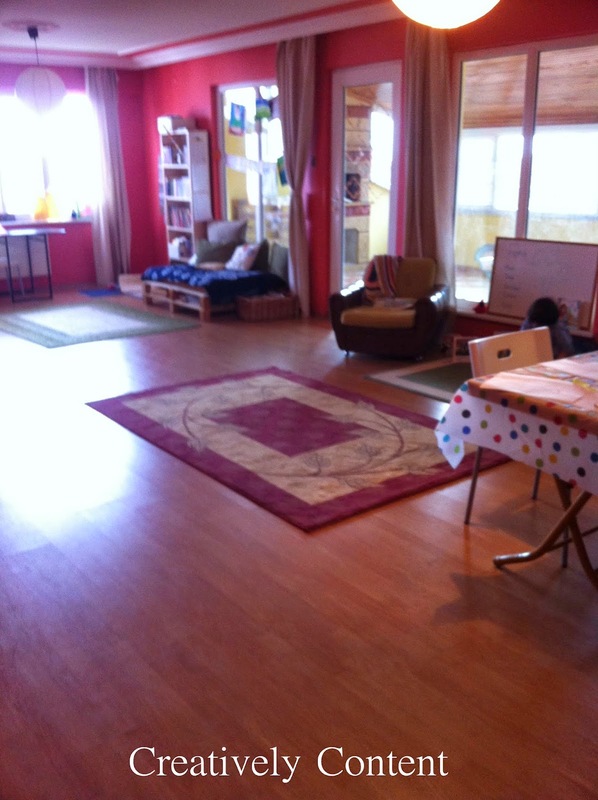 It is also where I give english lessons to a small class of boys. 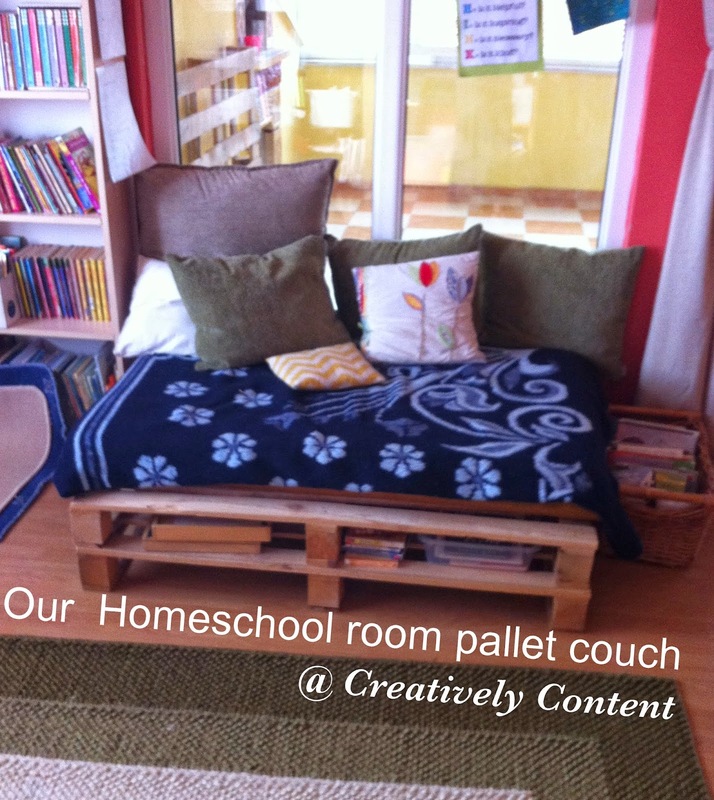 Well here we are: our homemade couch (pallet couch) and it is used ALL the time and is comfy with the thick foam. One day I would like to make a patch work cover for it ...one day. It also stores our Math -u- see blocks and certain board books. David found where they make pallets here and bought me 4 as a surprise for 9 lira a piece (that is about $4 each). use water colours with just enough water to create a paste and dab and sponge away. Although I have lived in Turkey now for 9 years there are still moments and situations where I feel intimidated by the culture, sometimes a little and sometimes a lot. 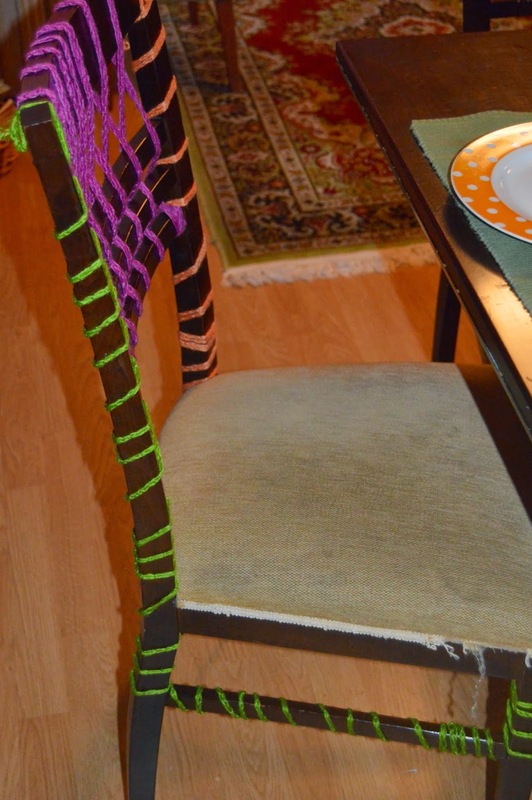 This chair you see below is an example of me overcoming some of that fear and intimation I feel at times. Well, I needed foam for our pallet couch and when I found out the price, it was more than we could afford so I decided to get over my 'I don't feel like I belong, intimidation issue' and head to the narrow street. Let me mention that it is hard to get our big van in and out of the narrow street, and it is usually all men sitting about and drinking tea watching you walk up and down and into their shops. However I went and I was successful! I found foam for 10 lira ($5) and this adorable chair with wheels that I bargained for from 30 tl to 15 tl (about 7 dollars) from a very kind shop owner, mind you. So a victory for me and a huge savings on my upstairs furnishings!!! Here is the full span of the room. Yes it is huge, yes it is aMaZIng. 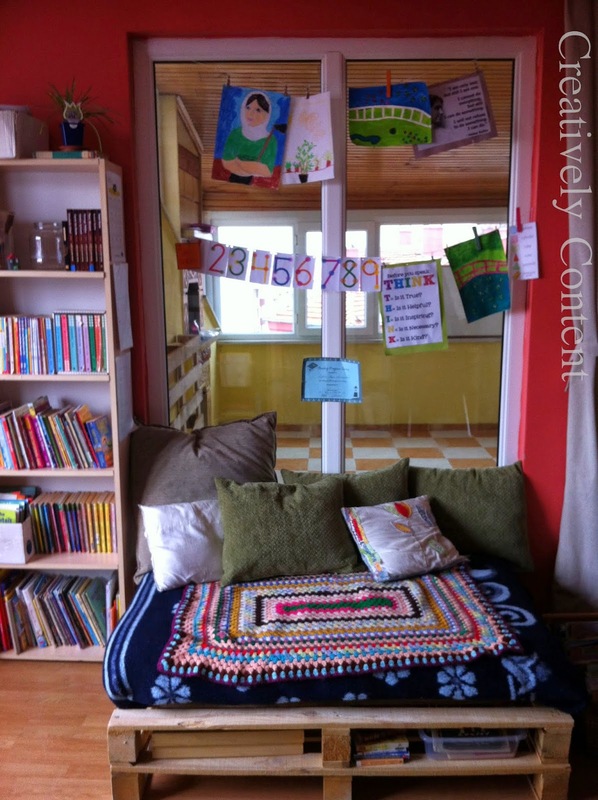 We do not need this space for learning because I believe learning should and can happen in every room in our house but there are NO complaints from me. It is so nice to have an upstairs and not be worried about keeping the kids quiet all the time. So while we have this space we are using it to the fullest. everything and anything else you can imagine. This Monday I am adding one more little guy.... we shall see how three, 5 and 6 year old boys do! Well Happy Mother's day to all you moms! I had breakfast in bed - homemade scones, green tea and fruit and was smothered with homemade cards. :) I am grateful that my husband and kids have shown their appreciation for me today. It is a gift to be appreciated and loved; not a right.